Lucky Mobile Review - Coverage, LTE, Phones, Plans & More! 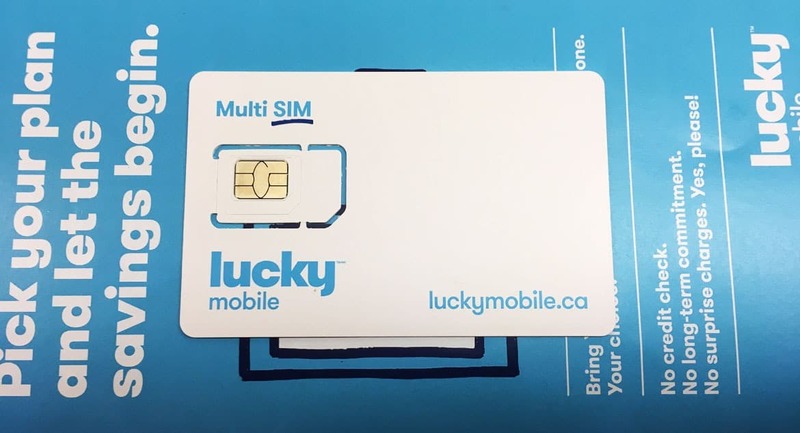 Lucky Mobile is a new entry-level mobile carrier and is owned by the same parent company as Bell Mobility. They’re a pre-paid service which means there are no credit checks in addition to their other key selling point of not having any long term commitments. Bell Mobility originally used to run Solo Mobile and Lucky is the successor to that. Solo Mobile stopped taking new activation’s towards the end of 2012 so there definitely has been a gap in their offering. Lucky Mobile launched in December of 2017. So What’s This Thing With Throttled Speeds? 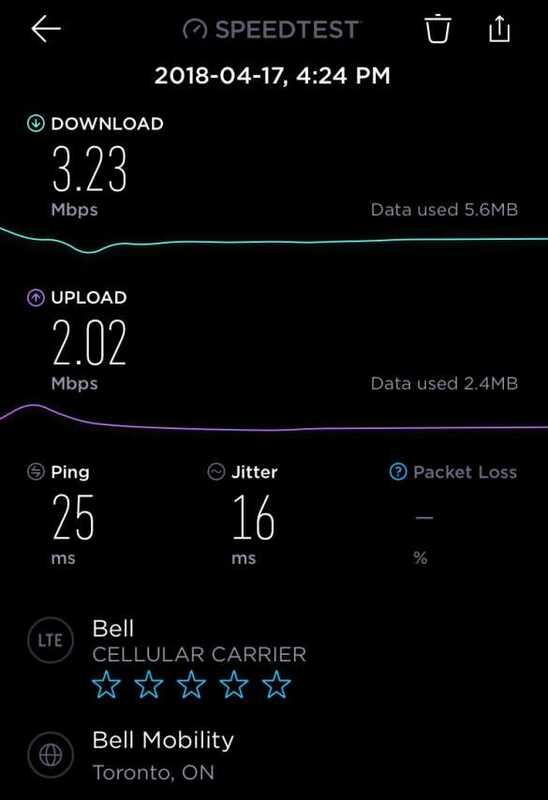 Although the Bell Mobility network currently runs on a 4G LTE, to keep the cost’s inline they will be throttling or limiting the speeds for Lucky Mobile to 3G like speeds. So depending on how you use your data, this may or may not bother you. If you use your data lightly – checking and replying to messages and emails, going on social network apps time to time, 3G may serve your needs. However, if you are a heavy data user and you are watching videos or downloading music and other things often you may start to get irritated with 3G speeds if you’ve already used 4G – so it all comes down to how you use the data on your phone. We’ll be doing some speed tests soon to see how the network is performing, check back for updates! 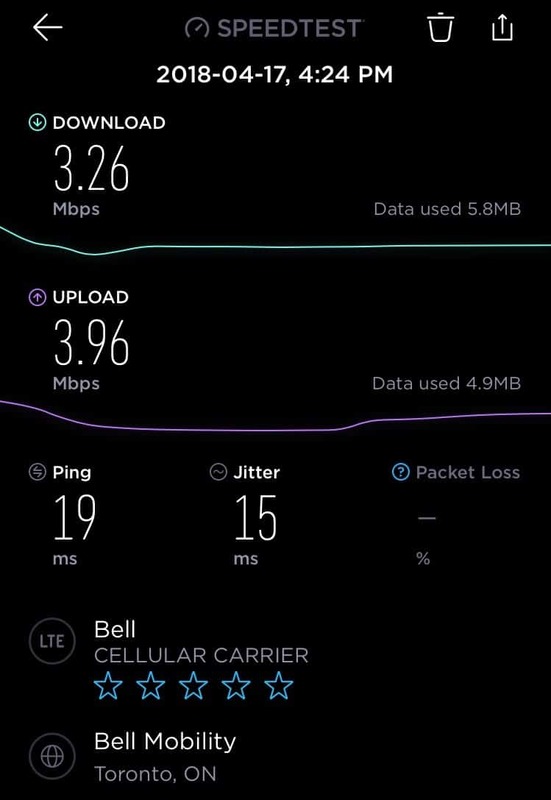 We conducted a number of speed tests around the City of Toronto and can confirm the data is capped at 3G. In the below speedtests you will notice the download speed is roughly 3 Mbps in all instances. 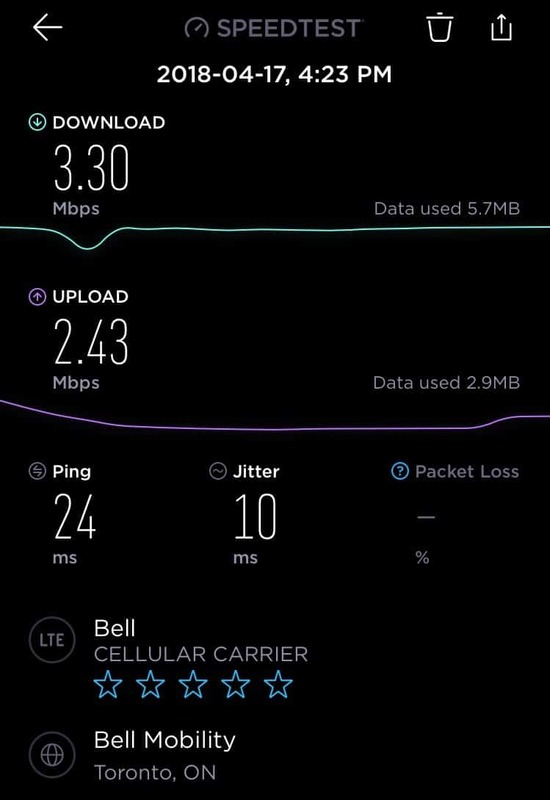 So although the network shows 4G, that’s because Lucky Mobile is leveraging the strong Bell network and unfortunately Lucky Mobile customers will only get data speeds upto 3 Mbps. 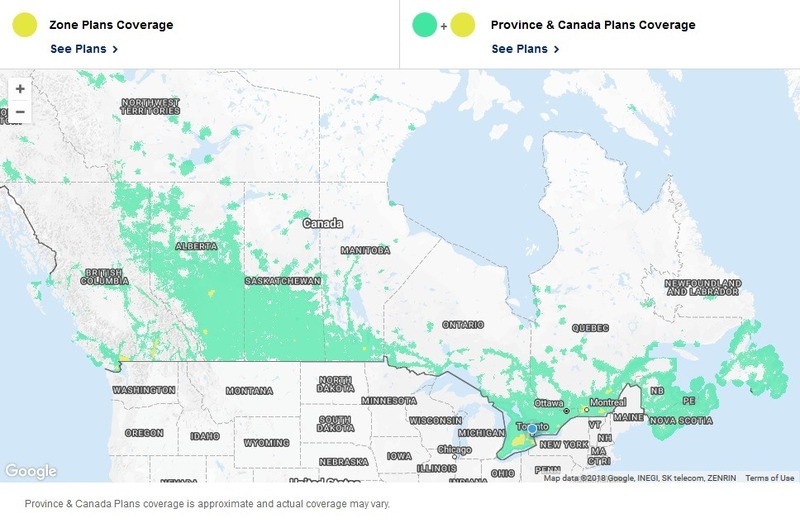 Here is a coverage map of Canada from the Lucky Mobile website. Note that Zone Plans no longer exist. Voicemail, Call Display, Call Waiting & 3-Way Calling are included with all plans. Keep in mind that when Lucky Mobile promises No Data Overages, that means that if you use the data you have in a month your data will no longer work and you will need to purchase a Data Service Pass for additional data in that month. Lucky Mobile looks to be differentiating themselves by offering very competitively priced add-ons for international calling, making it simple for you to use your cellphone to dial directly back home. Since Lucky Mobile is a discount pre-paid carrier, they do not offer any of the newer, high-end phones which makes sense. Their current phone options are outlined below or you can also BYOP (Bring Your Own Phone). A sim card costs $10 at retail partners or can be ordered over the phone. Pay attention to the language on the website which says you can get a sim card delivered free of charge in 1 – 2 business days by calling them at 1-833-885-8259 – The delivery fee part of it is free, you still have to pay the $10 for the sim card for new activations. eSim: Lucky Mobile now supports eSIM for iPhones which is the ability to have a second digital sim card allowing you to use your iPhone as if it is a dual SIM phone. Details and FAQs on the eSIM feature can be viewed here. Can I Use Lucky Mobile in Quebec? Yes, you can both use your Lucky Mobile plan in Quebec and they also offer ‘Zone Plan Coverage’ in Quebec City, Sherbrooke, Montreal, Terrebonne and Ottawa so if you live in one of those areas and are in that area majority of time, there are reasonably priced Lucky Mobile plans that will work for you. 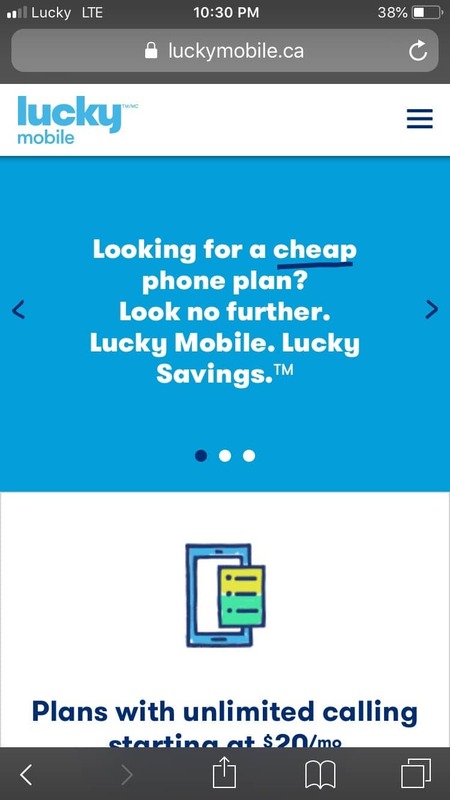 What do you think of Lucky Mobile and the plans they offer? Are you a customer? How is their coverage? What about their customer service? Leave a comment below! 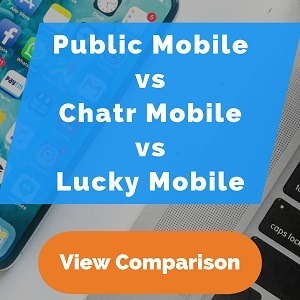 *Disclaimer: We have no affiliation with Lucky Mobile, this is an independent review of their services and offerings. Is it possible for this carrier to be available in the Northwest Territories. If so this would be a great carrier to go wtih. Good article. How does Lucky Mobile compare with Seven-Eleven’s SPEAKOUT wireless service? The web sites look the same, so my guess is that the same company does the billing and customer support. If so, that means they provide no details of your usage.